“With today’s announcement that monitoring efforts have not turned up additional Asian carp north of the electric barrier, the ACRCC appears to be breathing a sigh of relief. We, and the Great Lakes region, are not. 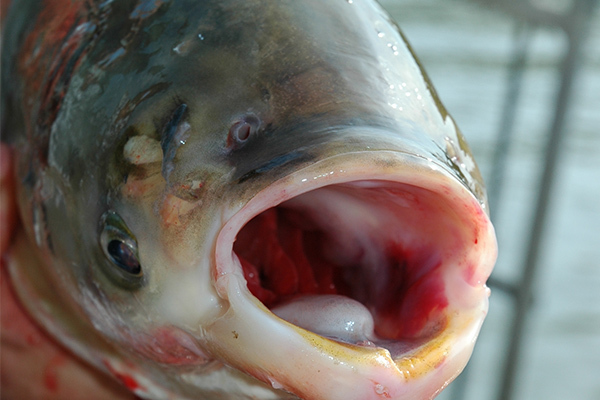 The finding of an adult Asian carp north of the electric barrier should be a wake-up call. Instead, it appears to be met by the State of Illinois and the Trump Administration with a collective yawn. Meanwhile Asian carp march steadily toward Lake Michigan. We must take action while Silver and Bighead carp can still be kept out of the Great Lakes. Despite clear evidence that the electric barrier is not a foolproof solution, agencies have done little to implement best practices to reduce risk. Studies have shown that barges can pull fish through the barrier, increasing risk. And, the Trump Administration continues to block the release of a U.S. Army Corps of Engineers study of additional protections at the Brandon Road Lock and Dam near Joliet, IL. The facility is a logical choke point location to install control measures to stop Asian carp from moving closer to the lake. The study is ready for public review, but it continues to sit on a shelf despite efforts by a bipartisan group of legislators in Congress to force its release with the Stop Asian Carp Now Act. Tell the White House: Release the Brandon Road Study, Stop Asian Carp! Current Asian carp control measures are not enough to protect the Great Lakes. Federal agencies have researched solutions that would provide additional, needed protections. But the White House is blocking that research from going public. Tell the White House to release the study now!